With August quickly approaching, your last opportunity to tackle one more summer project is near. And with the end of summer means the beginning of the school year where organization is a major key in getting a good start. A great way to stay organized, you ask? 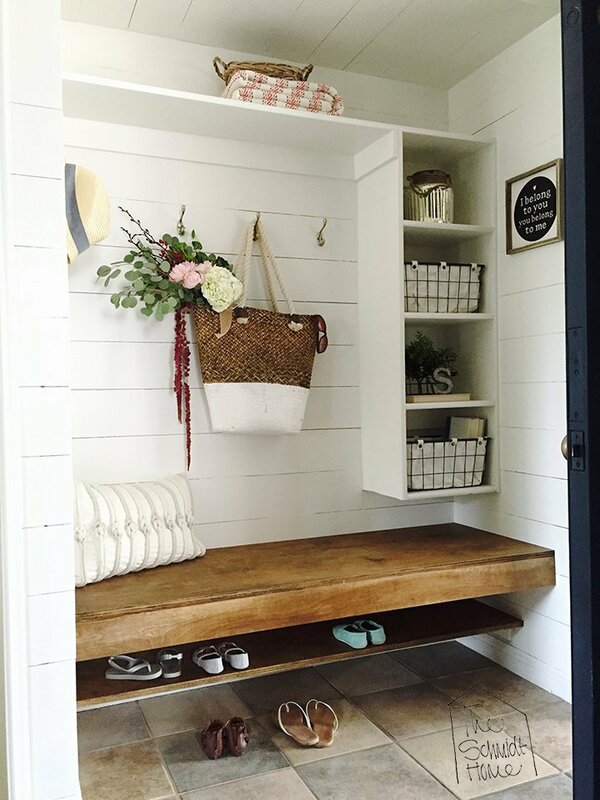 Mudrooms! 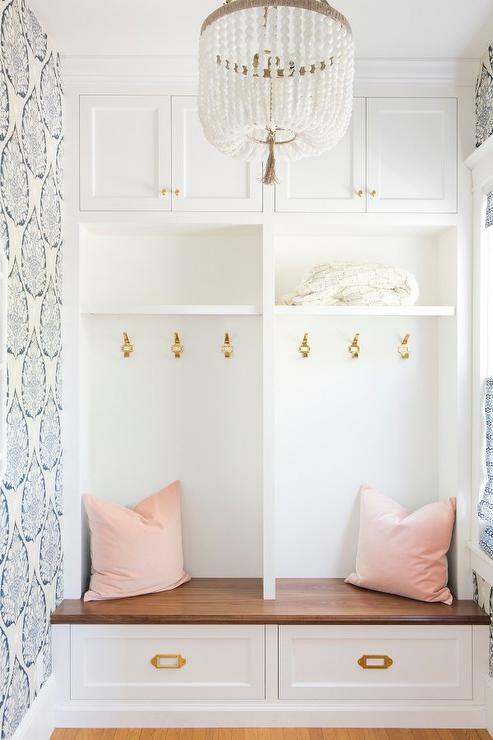 By designating one area for all of your in and out needs, you develop a space that is actually functional. 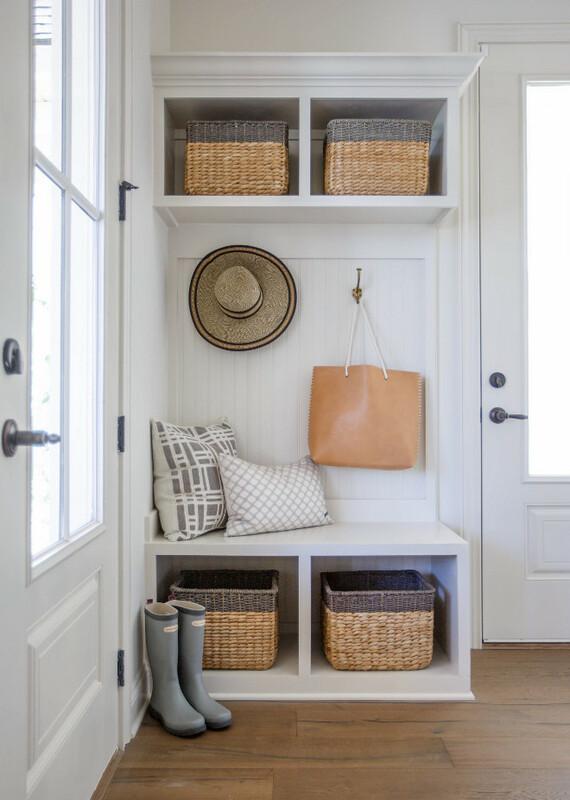 Check out my inspo below and begin working on a mudroom of your own! What a darling space! Pic via decorpad.com. I love the hidden shoe shelf! Pic via inthenewhouse.com. 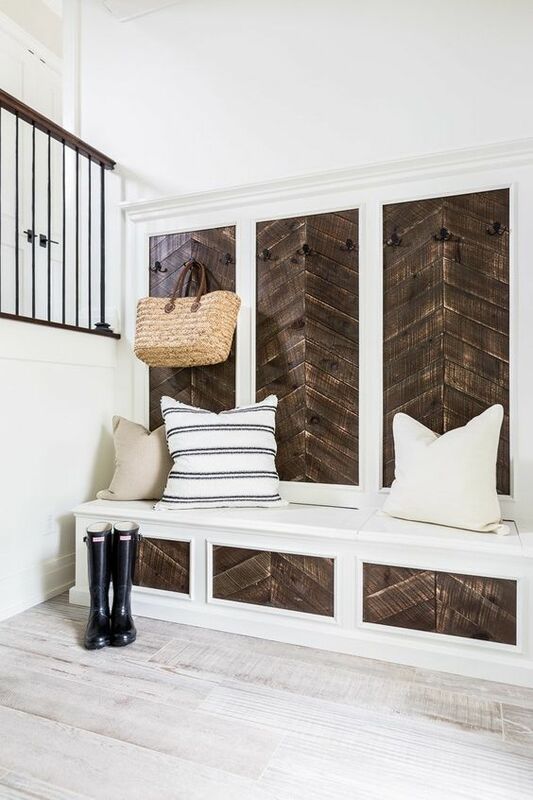 Love how they did the reclaimed wood in a herringbone. Great idea! Pic via cococozy.com. The use of chalkboard paint is so clever! Pic via decorpad.com.